An interesting concept has set foot at Tessensohn Road near little india area with the descent of the super heroes. 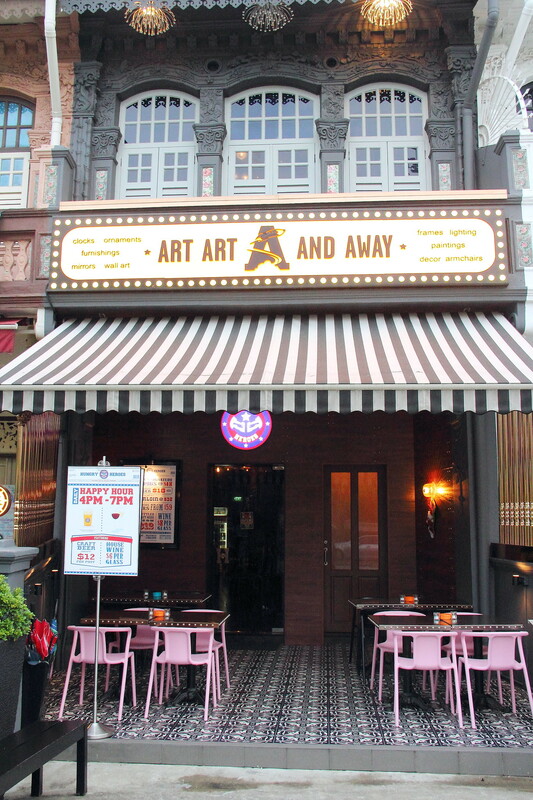 Under the same roof of the 2 storey shophouse housed Hungry Heroes, a restaurant and deli on the ground floor while Art Art And Away, a lifestyle space that retails unique decorative art and home furnishing products occupied the 2nd floor. 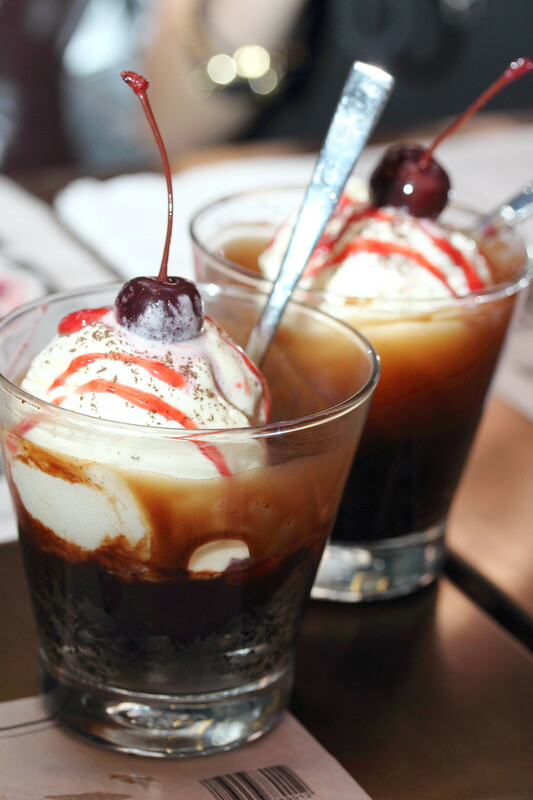 Beer fanatic will be rejoiced with the specially curated selection of beers at Hungry Heroes. 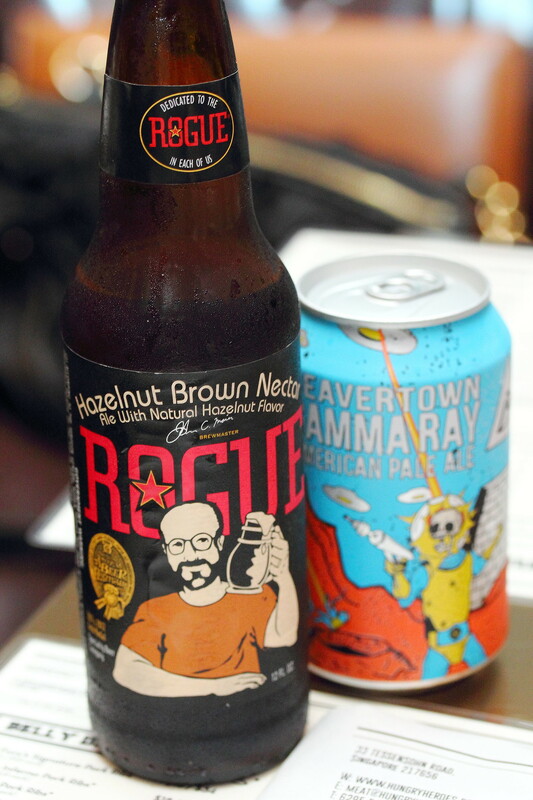 To mention a few, I had the Rogue Hazelnut Brown Nectar ($14) that has a rich nutty flavour that goes very well with grilled chicken. The gold medal winner at the world beer championship 1995, Rogue Mocha Porter is an excellent pairing with the signature pork ribs. Available on tap is the Deschutes River Ale which is an easy to drink pale ale that pairs well with a wide range of meats. The food at Hungry Heroes is all about hearty and robust meats. We tried the Hungry Heroes Platter which comes in 3 sizes. We had the Steak Out ($108) which is good for 5 to 6 people. 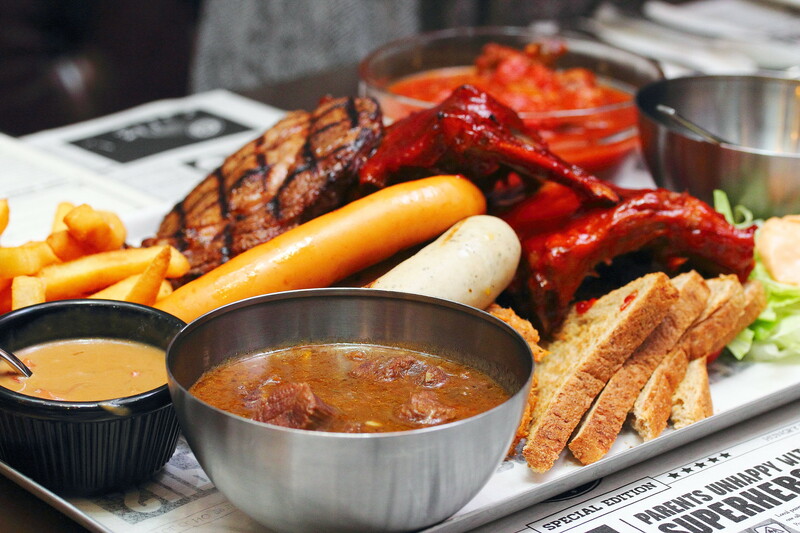 The platter consists of 200g ribeye, full rack of pork ribs, pulled pork, sausage trio, 250g deboned chicken leg, beef stew and veal osso bucco. This is perfect for group gathering as everyone gets a share of the different meats that is on the menu. 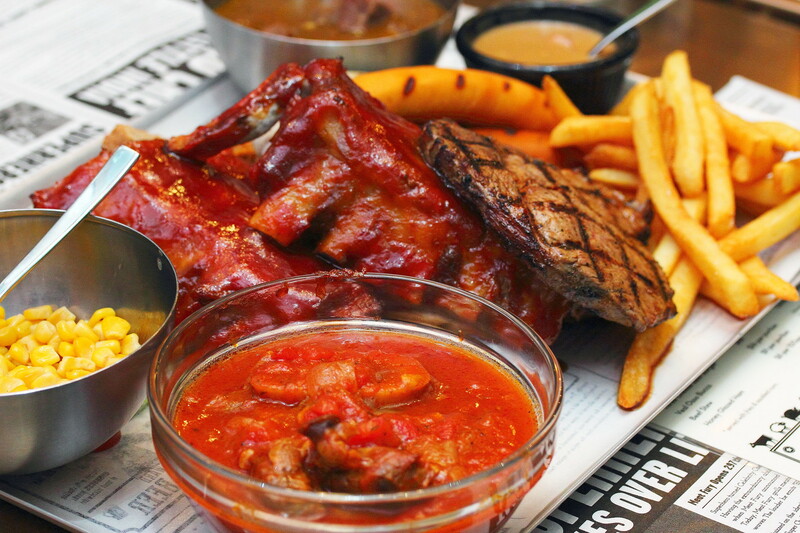 Among all the different meats that is on the platter, my favourite has to the pork ribs. The twice cooked pork ribs were so tender and juicy, felling off the bone with ease and literally melted in the mouth. The rest was decent but not memorable. Wrapping out the dinner, we had the classic Brownie with Vanilla Ice Cream. Nothing fancy but a nice closure to a super heroes reception. I have to admit my photos did not mange to justify how beautiful the restaurant is. 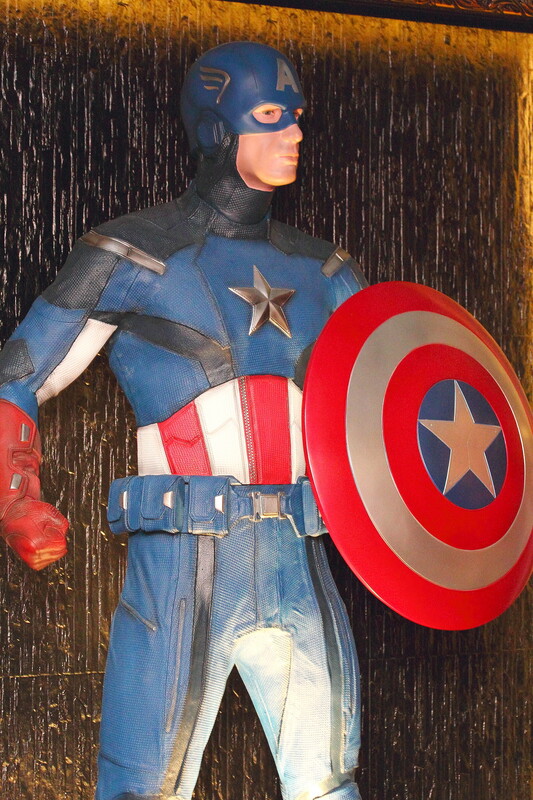 You just have to make a trip down and admire the display of the owner's personal super heroes collection. While the food is decent, you will be captivated by the beauty of the place and its a great place for group gathering.